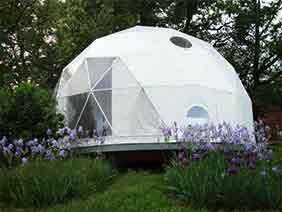 Welcome to Pacific Domes, the original Geodesic Dome company. Since 1980, we have been designing award-winning shelters that are engineered to be energy efficient, easy to erect, and exceptionally durable. As the leading manufacturer of geodesic domes for over 38 years, we are committed to the most efficient and elegant architectural solutions. 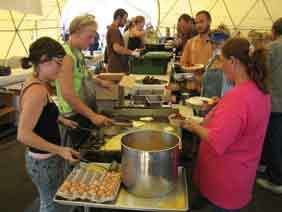 We are a family owned and operated company based out of Ashland, Oregon. 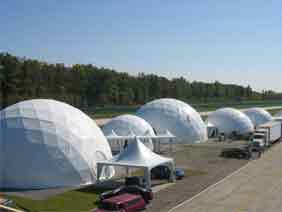 Our portable domes are used all over the world for personal, corporate, and community purposes. 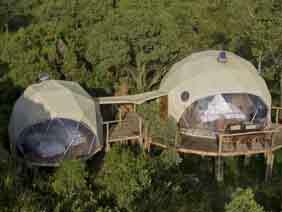 Each dome type can be customized, offering an unlimited potential for creativity. For Sales and Rentals, call 1 (541) 488-7737 or click here for a free quote. 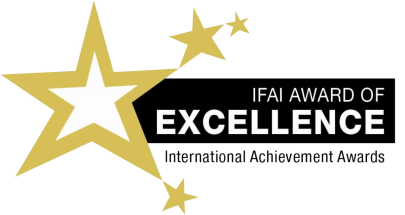 We are honored to have been recognized multiple times by the IFAI. We have received awards for excellence in both the Tent Manufacturing and Party Tent Rental categories, as well as an outstanding achievement award for Commercial Tent Rental. 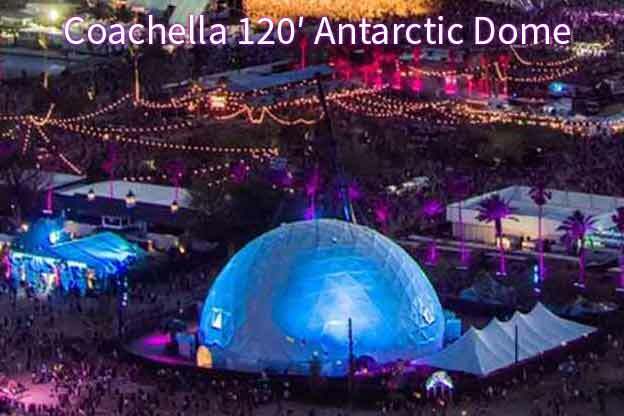 Coachella 2019 promises to be the ultimate concert hall venue with 2 weekends of YouTube livestreaming presented by T-Mobile. Setting the center-stage for audiences under the colossal 120’-dome, the annual Coachella Valley Music and Arts Festival, begins Friday, April 12th – 21st. 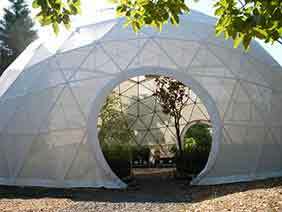 Pacific Domes offers a variety of new and used domes on sale at discounted prices. These domes are in our warehouse and are ready to ship! 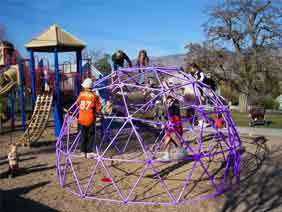 Our domes are made with top-of-the-line materials and come with excellent warranties. 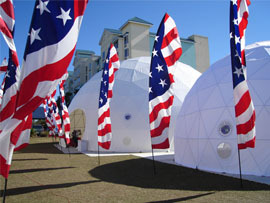 Our domes are Proudly made in the U.S.A. Allowing us to offer our clients quality assurance and project oversight. Pacific Domes is a DBE and a Certified Woman Owned Business. —Buckminster Fuller, expert of the geodesic dome.